Welcome to Driiv Autosport, You've found our Ruff Racing Wheels, Rims page. We offer styles to fit most makes and models to include Chevrolet, Cadillac, Lexus, BMW, Mercedes, Toyota, Nissan, Audi, Infiniti, etc. Shop with confidence, your covered by our 100% customer satisfaction guarantee! 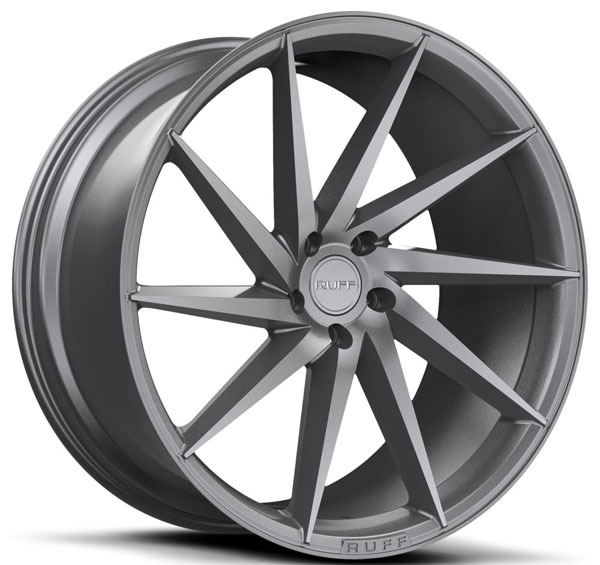 Ruff Racing R2 Wheels Satin Gunmetal - Satin Black 20" 22"